What does a rally co-driver do? Well after my experiences Co-Driving with Valentin Ivanitski and Roger Matthews this year at Pikes Peak and Lands end it has become a definite desire to continue this effort. I have always been a fan of rally and now is a good time to take the opportunity to try it out. I knew there was a lot more to Co-Driving in stage rallys than meets the eye so I started looking into it. I like to be organized and show up with my a-game when I am doing new things and try to start things at an “intermediate” level so research and practice are going to be the key to making this happen. You will be able to keep track of the Rally Jetta soon on Wild Hare Racings new site, but you will have to check back to get the link. I know you have watched countless in car rally videos and you have heard the codriver speaking incoherent sentences to the driver but what does a codriver really do? Turns out it is a lot more than you think. A driver can win a rally, but a codriver can easily lose a rally! So lets break it down. Before the race. A codriver must know and pay attention to all rules and is also responsible for all movement plans for the race car as well as the pit crew. (check out Christian Edstrom’s movement plan examples here) Rally is a very time sensitive sport. Time clocks at checkpoints often called controls can make or break your race. The rules are different than nearly any other type of racing and knowing the ins and outs of the rulebook is critical so you do not cost yourself a time penalty. In addition, unlike most racing, the pit is mobile. There are various pit locations and your crew needs to know not only where the pits are, but when they need to be there and what service is allowed to be performed at each service location. Larger teams will have a specific logistics person, but the majority of teams rely on the Co-Driver to plan all of this. The Co-Driver needs to be highly organized and keep everyone on track. If you would like to read more about timing controls click here. During the race the codriver syncs to the official race time in order to keep the team on schedule. They check the team in at controls at precise times, typically with a margin of error of only a minute. In addition to checking in, they must keep time and make sure that the time they are provided at the control is correct. 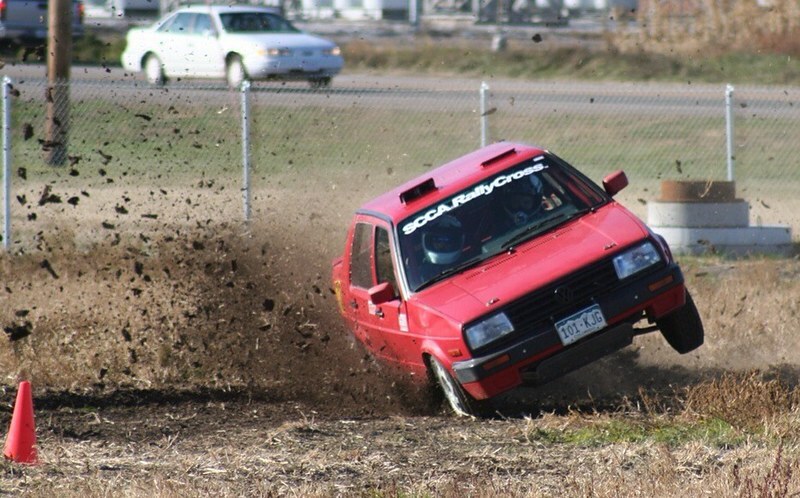 During stages the codriver does what they are most known for. They call notes to the driver. Depending on the rally these notes could be provided by the organization and run mostly blind or they could be written by the driver and codriver during a recce run. (there are also some combination of these two as well) All drivers prefer a certain amount of time before a turn that they want a note called. This can be even a few turns out if the driver is comfortable with that. The tricky thing for a codriver is to read the road as they read the notes. It is easy to look down for a second at the next line only to look up and not know if this is the next r3 or the last r3. Being calm, patient and organized helps keep this from happening. In addition working with a driver and becoming comfortable with their style is also very important and putting all of this together from the creation of the notes to the delivery of the notes is an art of cooperation and the key to success. So what are these notes that the co-driver is rambling off anyhow. What is an r3 or a “r5 /cr 500 !! R2”? This is shorthand for road descriptions and to confuse things even more there are multiple methods this can be written. To start r5 /cr 500 !! R2 is read: right 5 over crest, 500 double caution right 2. So what does that mean? Right five is high speed, the number has a loose relation to the gear you could be in. So you are going fast and the road is bending to the right. There is a small rise called a crest. At this speed you are likely to get off the ground! Now your wheels are going to touch down and you have 500 meters before your next call. This is quite a way and you can really gain a lot of speed, but the next call is a right 2! This is really tight after such a long straightaway so a warning is given so the driver doesn’t over cook the turn. Often the co-driver will read the whole line in one breath then pause and identify a few of the more notable corners for the driver to keep them oriented. If you want to learn what all the symbols mean there is a great resource here for you to Check out. Of course there are several systems that people use for calling notes. Descriptive notes that tell the corner based on how you should drive through it. FR+ Instead of saying you should be in 6th gear on a slight right, this says: Flat out to the right. There is the system listed above, there is another system that uses the first number as a degree, so R3 means Right 30 degrees. This system typically goes to 9. Another system rates the corners saying 1 for the fastest and 6 for the slowest. Check out some other notes here. Check out this video with a Recce Run and pace notes being called. Where do these notes come from? Well, it depends! Rally in the US is sometimes blind using computer generated notes from a system called jemba. This system generates notes that describe the course from a vehicle mounted system using accelerometers. The vehicle drives a set speed on a stage and the computer prints out the forces it feels. This system can register a lot more than what a driver would ever care to hear about so it can be a bit too much information. Other rally’s provide an opportunity to recce. This means you are able to drive the road, often in a line of cars. You are provided a brief slow drive of the road and you note every important turn, distance and condition. This is an art by itself. Getting accurate notes, in order without any missing details is critical since you will surely regret it when you discover an inaccurate note at speed! In addition to these tasks the Co-driver shares responsibilities on the vehicle. When allotted only 5 minutes for a tire change the driver and codriver must work together and get tasks done fast and efficiently in order to eliminate additional time penalties. When the driver is frazzled by a bad corner or a scary moment the codriver needs to calm their nerves to make sure that pace is maintained safely and only experience of working together is going to help the team know how to identify and solve these types of problems. I have been told that the calm clear delivery that I have used in my experiences helps keep the driver focused and calm as well, however I have seen videos that the codriver is very quick, snappy and aggressive and I suspect that there are drivers that require that style to help drive them to push the car harder through the stage. I hope that you find this to be helpful. I have been doing research and I find writing these posts helps and motivates me to learn more as I go. I know I am not a pro and I can assure you that with more experience I will probably revise or even start over on a new post on this stuff, however here are a few more links and a great video to check out if you are interested in learning more. Thank you! this is great…. I am going to take a co-driving test myself! did not wanna go in blind. Previous PostPrevious Up We go, into the Wild Blue Yonder!